Whether you are at home or on the job, safety is of the upmost importance. With Sure-Foot’s innovative products, you can be assured your stairs are safe. The BOLD STEP® is a permanent solution for renovated or newly constructed stairs and comes in a variety of colors and sizes. 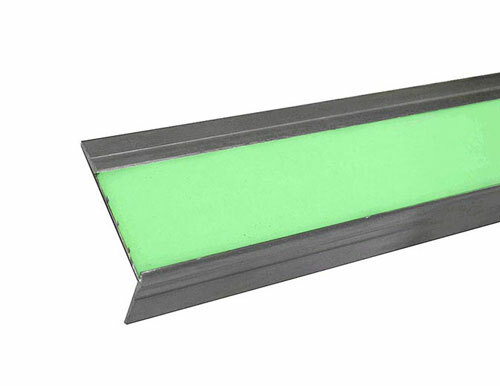 The 2.6″ Glow-in-Dark Single Cavity Aluminum Stair Tread’s glow-in-dark feature creates an extra layer of safety at night or during a power outage. 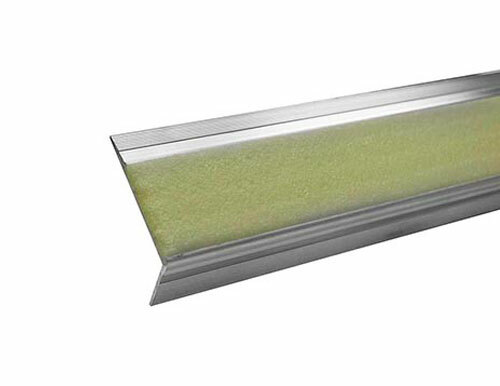 Designed with safety in mind, the BOLD STEP Glow line is easy to recharge with either natural light or any interior light source. It will surpass any illumination request because it will light the way in complete darkness. To learn more about our aluminum stair treads, contact us or request a product sample today.